It’s no secret that I love my BlackBerry. 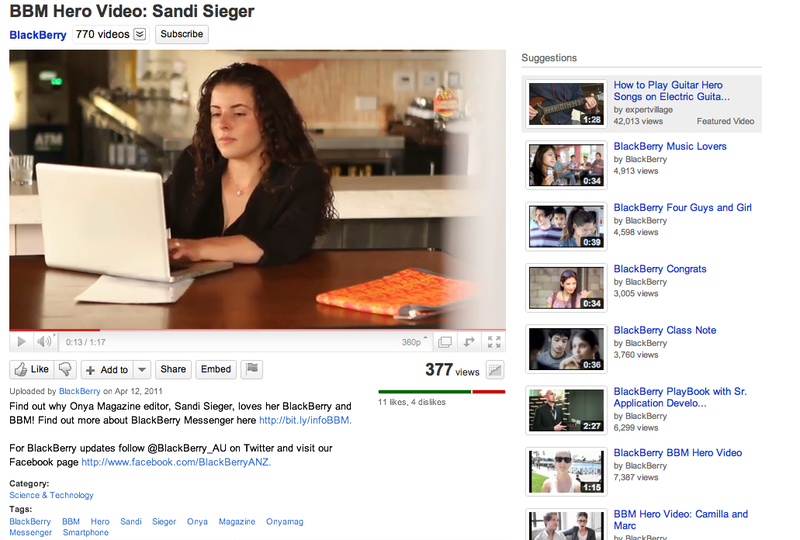 So when, earlier this year, I was asked to feature in a BlackBerry BBM Hero Video, I naturally said yes. Talking about why I love BlackBerry Messenger and why I can’t live without my BlackBerry? That’s about as easy as slipping on my favourite Gerogio Armani heels. ← His and Hers. All Stars.